While listening to Cycle of Ruin’s EP The Crimson Fog of Death, the opening song immediately makes me think this is the music that would match Alice Cooper’s stage show. 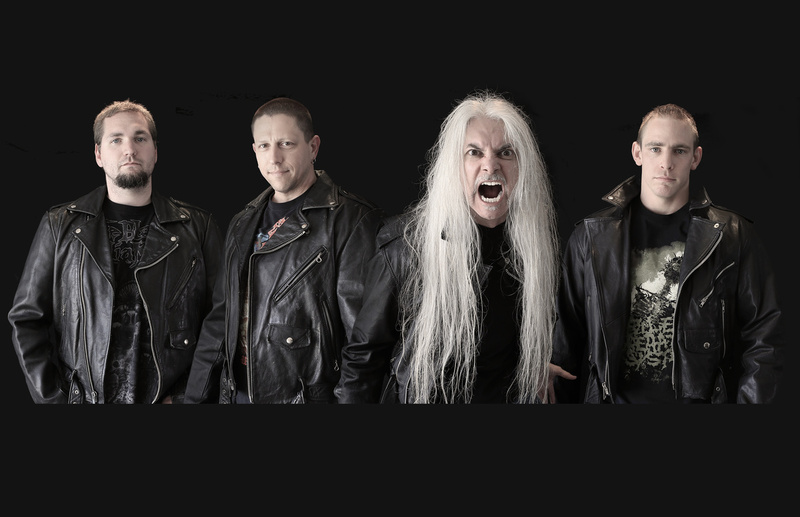 The four track album opens strong with the high-pitched theatrical vocals harkening back to a time in metal that has long since passed, days of thrash and early death metal. The first song evokes images of Merlin in the film Excalibur with his black robes and underworldly presence performing his magick rites. Not because the lyrics are about said film, but because the vocals are dark, theatrical, and transcending. Instrumentally the band is well-matched; each member holding his own and contributing to the evocation of dark underworldly images. If the vocals are not enough to lure one’s mind in and thrill one’s ears, the music itself will make your heart race with the carefully crafted progression, intensity, and storytelling of each instrument. For a moment, I was disappointed to learn the last track was in fact a monologue, not another fantastical song. The enchantment resurged soon enough as the captivating storyteller continued on his monologue in true 1930’s style. The voice holding my attention with his inflections and a voice capable of illustrating the emotion and tension in the story. The story continued on much longer than expected. Despite this, it is well worth the 30 minute listen for anyone who enjoys a good story. The style and abilities of Cycle of Ruin lends itself well to the possibility of a concept album. The haunting vocals and emotion evoking, intense music would create a fantastical story of horror captivating its audience from opening track to the end. My only complaint is that I only had three songs to listen to. Thank you so much for the review! Cheers and Hail from the Cycle of Ruin camp!